My clearest memories were not of being with my grandfather but of visiting his grave, on enduring the two hour long process of sending paper riches to heaven. 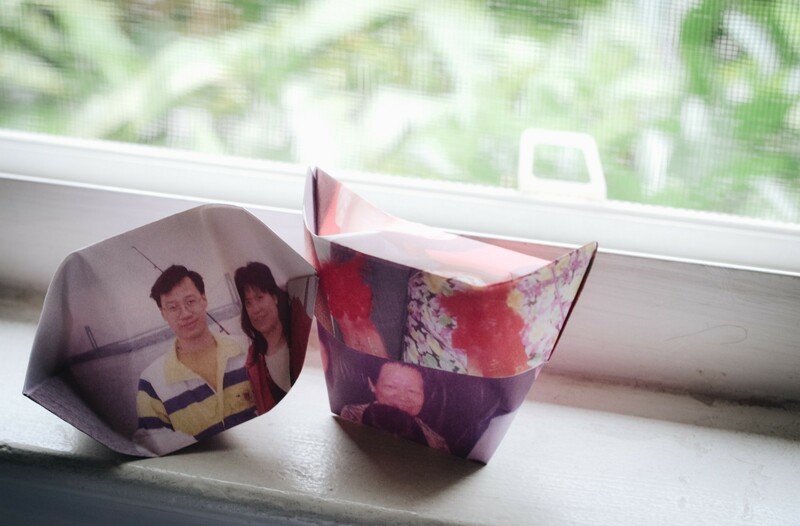 Traditionally, the process of burning ghost money (paper shaped into gold nuggets, material goods, or other forms of wealth) dates back to a Chinese form of ancestral worship which believes that ancestors serve as the closest link to heaven (tian). 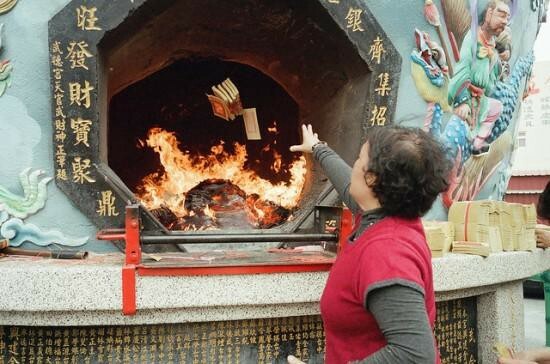 To pay respects to one’s ancestors, one would frequently go back to the ancestral grave and burn the ghost money. The prayer would also brings plates of food and fruits as spirit food to be sent to the ancestor. This was an activity which I found mundane and obligatory in my youth (while hit with smoke eyes and unwanted skin burns in Hong Kong’s scorching hot summer, it was certainly not a defining memory of my youth). It was, as with all family-related activities I find myself involved in, more of a filial responsibility rather than an act of personal desire. Yet as time continues to drawl and my memories with Ye Ye become successively dimmed by the American pursuit for personal success, my thoughts begin to wander. I cannot think about my ten year career plan as effortlessly I did before. Instead, I am distracted by the thoughts of life and death and the meanings of those which we choose to grasp on. I am distracted by the possibility for nostalgia to glorify the memory of individuals, perhaps greater than the reality of which they have actually lived through. I am distracted by what rituals mean for the receiver, what they mean for the giver, or why we derive meaning from rituals at all. I am distracted by the possibility for nostalgia to glorify the memory of individuals, perhaps greater than the reality of which they have actually lived through. When Ye Ye died, I was not able to attend his funeral. I remember at the time having been so angry: angry at my parents for excluding me in his very last moments, angry at my culture for refusing to wear their emotions publicly. That memory opened a portal I could never forget. A sense of zealousness that had awoken from its hibernation. I vowed to never be as content with the world as I did before but instead seek constant meaning, however futile these actions would be. And while this zeal is beginning to subside in my adult years, Ye Ye’s death continues to linger in my memory. Except now, the memory is not of anger but of introspection. In three weeks, I have a motive. I will return to Hong Kong again after six years separated. I will recreate this burning ritual in front of Ye Ye’s grave again, except the joss paper will be in the form of old family photographs I have photocopied in multiples. What, then, is the significance of ritualizing memory, I wonder?